Fredericksburg bed and breakfast travel guide for romantic, historic and adventure b&b's. 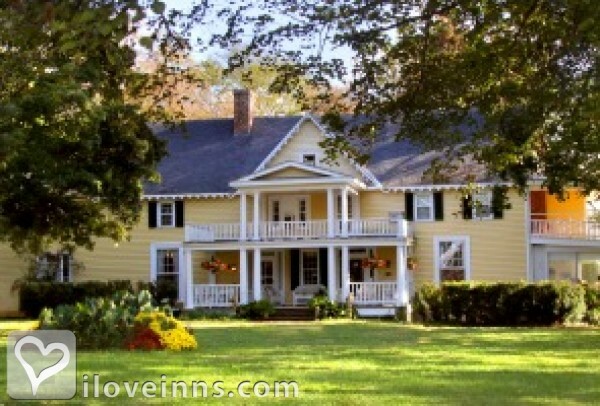 Browse through the iLoveInns.com database of Fredericksburg, Virginia bed and breakfasts and country inns to find detailed listings that include room rates, special deals and area activities. You can click on the 'check rates and availability' button to contact the innkeeper. Stay at a Fredericksburg, Virginia bed and breakfast and experience a classic blend of modern life and small town charm. Situated between Richmond, Virginia and Washington D.C., the Fredericksburg area is home to rolling countryside, Civil War historical sites, wineries and a picturesque Old Town. The historic downtown portion of Fredericksburg, Virginia features numerous specialty retail, craft and antique shops housed in restored 18th and 19th century buildings, as well as excellent Fredericksburg VA bed and breakfast accommodations within walking distance. Outstanding cultural and entertainment events are presented by Mary Washington College and the Fredericksburg Theater Company. A tour of Ferry Farm, the boyhood home of George Washington, is another Fredericksburg, Virginia area attraction not to be missed. For outdoor enthusiasts, water sports abound on the peaceful shores of Lake Anna and on the beautiful, still pristine Rappahannock River. Hiking trails and camping are also available in the Fredericksburg VA region on a 211-acre recreation area situated on both sides of the Rappahannock River. There are four Civil War battlefields maintained by the National Park Service and guided tours are available. From museums to battlefields, to excellent sightseeing, shopping and dining, a visit to a Fredericksburg, Virginia bed and breakfast offers a glimpse into this extraordinary, historic city. By Inn at the Olde Silk Mill.